Deciding whether to buy or rent depends on several factors. Among them: where you live, how long you plan to stay in your home and how home prices compare to rents in the area. Zillow crunched the numbers to figure out how long a new homebuyer would have to own their home before it would make better financial sense to buy. It's at this "breakeven horizon" that total rental costs would exceed the total cost of home ownership. In three-quarters of the U.S., that horizon is three years or less, according to Zillow's chief economist, Stan Humphries. Of course, in some markets, like New York and San Francisco, home prices are so high that it takes much longer than that -- five years or more. In those cases, it makes more sense to rent. And the breakeven point can vary wildly within metro areas. In the Boston metro area, for example, it can range from just over two years in the town of Lawrence to a decade in suburbs like Concord and Brookline. To make these calculations, Zillow accounted for the costs associated with buying a home, including the down payment and transaction costs (such as commissions and fees), mortgage payments, property taxes, maintenance costs and tax deductions, among other things. It then compared that with rental costs, including monthly payments and commissions and adjusted the numbers for inflation and forecasted home value and rental price increases. 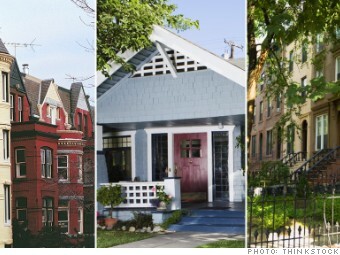 Here's how the nation's 10 biggest cities fared.